As Global President and CEO of ESL Ralf Reichert is, unsurprisingly, a busy man. He took the time to talk to Esports Insider on a variety of topics including official betting partners, WESA, his involvement as an advisory member of the Esports BAR, the next event of which is taking place in Miami on September 18-20, and more. Esports Insider: Ralf, as CEO of the world’s largest esports company, can you tell us what your day to day consists of? Ralf: I get to the office at 9am and if I’m lucky I have an hour before the main craziness of the day starts – that’s unless I deal with some Asian opportunities. My day consists mostly of managing my inbox, meetings and calls at the office. I am very dedicated to having my email inbox clean and literally use it as my to-do list – I believe that it helps to set an example for the rest of our management team and I try to never be behind on emails. The second wave of craziness starts around 2pm, when first New York and then 3 hours later LA wakes up… I try to be on my way home hopefully at 6:30pm but usually have evening obligations in the form of calls with our US-based offices. I travel frequently, one or two days a week usually within Europe, and then that day is dominated by flights and meetings – my inbox gets out of control on those days! ESI: What is your role as a member of the Esports BAR Advisory board? Moreover can you detail your thoughts on how the Esports BAR events are contributing to the growth of the industry? Ralf: My role is best divided into three activities. Firstly in an advisory capacity, in which I help with the “why”, “when” and “how”. Secondly by playing matchmaker where I help to secure key executives to attend the Esports BAR. Finally, I’m attending the event as one of the key speakers where I’ll try to contribute to the event by saying smart things. ESI: ESL One Cologne recently agreed an Official Betting Partner in the form of Betway. Can you comment on the significance of this? Why Betway, and moreover why is it important that tournament operators like ESL work with official, regulated betting partners? Ralf: Betway are a highly regulated operator with a strong integrity function and exactly the sort of business that esports should embrace. Companies like that are the antidote to dodgy, unregulated skins and cash betting sites that target underage gamblers and undermine esports credibility. ESL is one of the founding members of the Esports Integrity Coalition (ESIC) and we have voluntarily subjected ourselves to the highest integrity standards independently monitored and enforced by ESIC. In its role as the official guardian of integrity of our sport, ESIC also works with reputable betting operators offering markets in esports to monitor suspicious betting and proactively deal with the threat of match-fixing. Betway was one of the first betting operators to sign an information sharing MOU with ESIC and have been enthusiastic supporters of our work since we launched, helping to fund our education program. ESI: Can you shed any light on the recent restructuring of the company which saw some staff lay-offs? Ralf: We are proactively making changes to the structure and operations of our organisation to adapt to the rapidly growing and changing market and our core principle is twofold: we either are the best in the world, or we work with the best partners. It’s worth pointing out that the layoffs are extremely limited and focused around one area, namely the operational TV production at live events. The total number of affected staff amounts to less than 5% of the total global workforce, and the flexibility created by those layoffs allows us to open up more roles in areas of expansion: producing original content, scaling global sales, increasing our in-game capabilities, and driving excellent brand articulation for ESL globally. ESI: ESL is a part of the WESA which governs the Pro League – how closely do you work with them? For instance, on the 18 month leeway given for teams to comply with the multiple team ownership ruling? Moreover, how effective can the WESA be with only a limited number of teams as members? Ralf: We remain very close and are in regular discussions where we try to come up with new ways to help and push the industry. ESL traditionally has always been very close to the teams and team owners, but working through and with WESA offers a more formal way of continuing our working relationship with all parties, and has contributed a lot to progress on many more fronts. Topics like player contracts, transfer windows, player hospitality, marketing co-operations, travel policies and so on are just a handful of examples of areas WESA is tackling on a daily basis. ESI: ESL recently signed an exciting partnership with the University of York. With higher education facilities in the UK, the US and elsewhere getting involved in esports, will ESL look to be heavily involved? The York partnership for instance is based on ‘education and research’, what will the research aspect consist of? Ralf: ESL will be advising and guiding the University of York in technological research and development for the esports industry; the primary focus of which is to enhance esports viewer engagement experience but will also consist of new emerging points of interest for the industry. ESI: What will an ESL internship offer students? Will this be something you’ll be looking to implement globally? 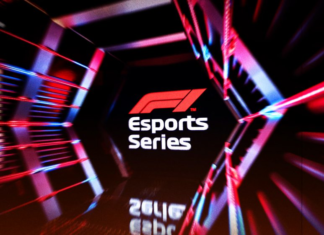 Ralf: The idea of the Internships is to help students supplement their learning with hands on industry experience in their specialisation within esports. We will only be offering internships within the UK to begin with but will look to offer students internships within other EU offices if possible.